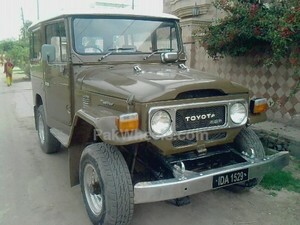 Toyota Land Cruiser for sale in Rabwah - Pak4Wheels.com - Buy or Sell your car in Pakistan. It is an air conditioned, 5 gears, having steering power . Good condition in all working and suitable everywhere in Pakistan.